Link number 3 on the global chain of #LinkingPostcards completed. This link connects Slovakia with Germany, Bratislava with Waldkraiburg in Bavaria. Michal Vörös, the author of these marvelous postcards caught my eyes with such blurred, mostly minimalist images, like out of a dream. I'm so happy he's among those, who immediately said - I want to participate. That's one of the reasons I selected Icarus the dreamer, which fits his description so well, but even more the inscription on the wall "FINCA PURA VIDA" which means PURE LIFE ESTATE (property) ... Watching his lovely Donna you can feel this pure life emerging out of his photos. Thank you Michal. Your card put that huge smile you sent me on my face. 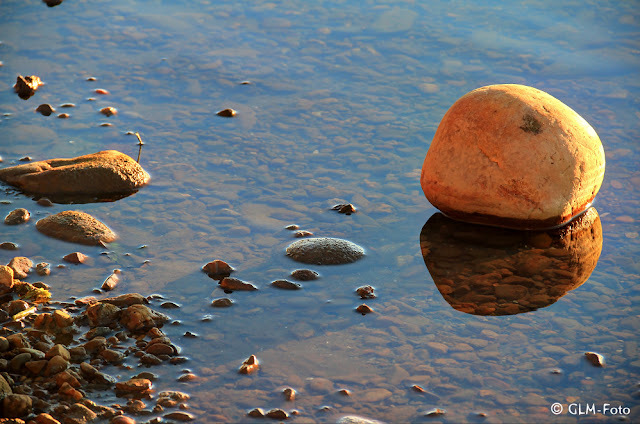 I love your dreamscapes a lot and will keep them in safe place. 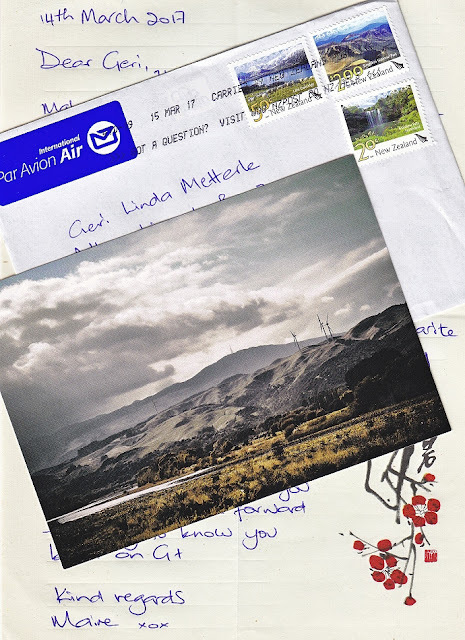 As soon as you receive mine, it's already on its way to you, please send me a picture of the card and stamp as the others did, so I can create the connection in a blog article and on the #LinkingPostcardsMap. Dear Susanne, I'm afraid you will have to wait a few more days before I can send you one of my cards. When I ordered my special stamps, did not consider I might send any cards to someone in Germany, but I would like to send all my cards with this special kind of unique stamps. I hope it's going to be worth waiting. The second link on this hopefully endless chain of #LinkingPostcards was created between Germany and New Zealand. That's over one day away by airplane. This time the card came in an envelope with handwritten letter. I can't even remember when I got my last handwritten letter. Even if I received a letter by regular mail from friends the content was computer printed. Only the envelope was handwritten. Together with Luci Westphal from Colorado, Maire Thompson was my inspiration for starting the chain of #LinkingPostcards. It was wonderful reading about the place you live, seems to be a wonderful place, and thank you for inspiring me to start this chain of #LinkingPostcards. 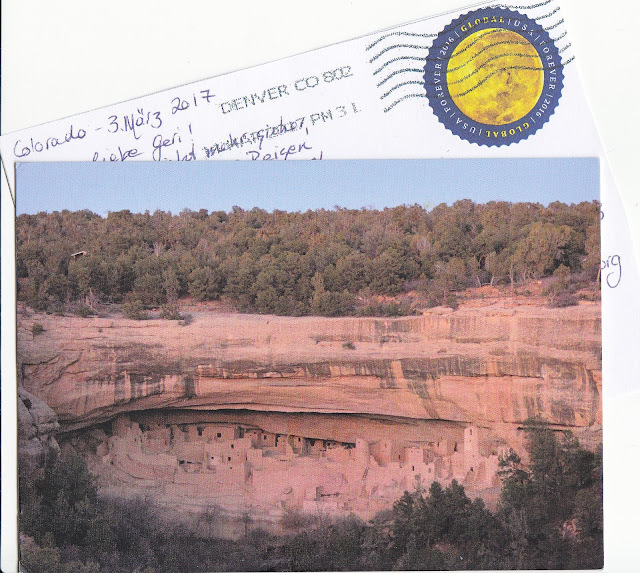 The very first card I ever received within this action of #LinkingPostcards came all the way over from Coloarado in the United States of America and it shows one of my favorite places, that I visited twice, so far. It was so wonderful to hear, that Luci Westphal, the sender of the card, was there too and so was her father. Luci was also my inspiration for starting this chain of #LinkingPostcards together with Maire Thompson from New Zealand. The idea of exchanging own creations on postcards or printed photographs didn't stop with the collection. I wanted to have an overview, where all my cards were sent to, and where from I got a card back. But this is impossible to be realized with Google+ Collections. I want to see all the locations were my cards have been sent to on a map, and by the end of the year I'm going to check how many continents, countries, locations and people we connect with #LinkingPostcards.